I still had some figs, locally foraged blackberries, blackcurrants and red currants left, so inspired by a recipe my friend sent me I thought I’d whip up a healthy, warm summer dessert. This comes in at only 152 cals per portion (I made 6 portions) so it’s a great healthy pud! You could use any fruits you like – just make up the same total quantity. Prepare the fruit – remove the stems from the currants, wash the blackberries and cut the figs into quarters (or if large cut even smaller). Pop the blackcurrants in a pan with a tbsp water and gently heat for a couple of minutes until the juices start to run. Add in the figs and continue to heat for another couple of mins until the figs are starting to soften. Add in the blackberries and red currants and stir gently. Heat for a couple of mins until soft. I didn’t need to add sugar to my fruit but taste and if you feel it needs sweetening add a little sugar. Spoon the fruit mixture into a medium dish or several small ones. I made three small ones and one slightly larger one! Cut the bread into small triangles. Melt the spread in a small bowl, add the sugar and cinnamon and stir well. Dunk the triangles in the melted spread and arrange on top of the fruit in an overlapping pattern. Then sprinkle with a little more sugar and cinnamon. Pop in the oven and bake for 15-20 mins or until golden and crispy. Best served warm! As I still had a load of summer fruits left I thought I’d try one of my mum’s favourite summer recipes – Summer Pudding! 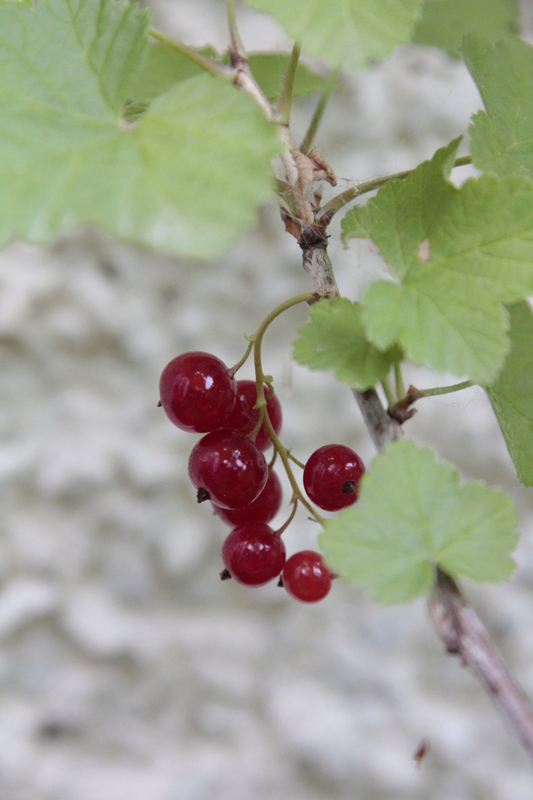 You can use any fruits you like – I had a few gooseberries and red currants left so they went in, along with blackberries, strawberries and raspberries. Put berries that have tough skins (blackcurrants, cherries , gooseberries etc) into pan with small amount of sugar if needed and a little water. Heat gently until berries soften and juices run. Leave to cool for a few mins and then add soft fruit – raspberries, blackberries, strawberries etc and stir, gently. If required you can add more sugar to taste. Cut medium slices of white bread (one day old) and remove crusts. Line a pudding basin with clingfilm cut larger than the basin. Cut the bread into shape to line the basin with a disc for the base. Drain the fruit, saving the juices in a separate bowl. Dip the bread into the juices and place the bread around the inside of the basin, plugging any holes with small pieces of bread. Pack the cooled fruit well into the basin. Put a larger disc of bread (or several pieces cut to shape) on the top. Overlap the cling film to cover the top of the bread. Put a saucer or small plate on the top and weigh down with a tin or similar weight to compress the fruit. Chill overnight, then turn out and serve with more fruit and yoghurt!